Acidity occurs when there is excess secretion of acids in the gastric glands of the stomach, producing gas, bad breath, stomach ache and other symptoms. Acidity can be caused due to a long gap between meals, empty stomach or excessive intake of tea, coffee, smoking or alcohol. 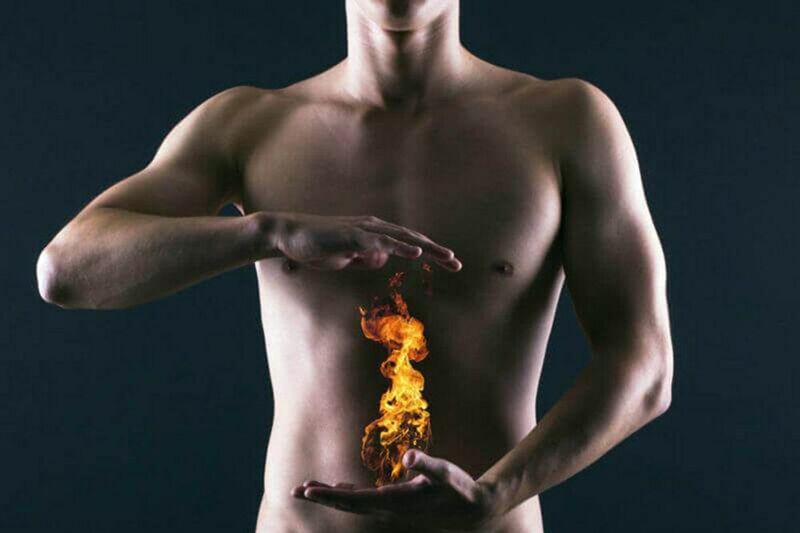 Some simple natural remedies can be used to treat stomach acidity. For instance, simply drinking a little water will help neutralize and flush out excess acid from your stomach. Here are some simple and easy home remedies to cure acidity. Another simple home remedy for acidity is buttermilk. It contains lactic acid that normalizes the acidity in the stomach. You can buy buttermilk or make it yourself. Drink plain buttermilk several times a day until you get relief. Mix in a little black pepper or one teaspoon of ground coriander leaves for best results. They are a rich source of potassium and help keep the level of acid production in your stomach in check. Certain components in the fruit also help increase the production of mucous in your stomach, which helps protect it from the harmful effects of excessive acid production. The calcium in milk prevents acid build up and absorbs the excess acid produced, thereby reducing the symptoms of acidity. Both these stimulate digestion and relieve stomach spasms.It also soothes the inner lining of the stomach helping it ward off the effects of excess acid produced in the stomach. Sauf has very potent anti-ulcer properties (due to the volatile oils it contains). It aids in digestion and relieves constipation. It also helps to cool the lining of the stomach, reducing that burning sensation you feel during a bout of acidity. This humble spice works as a natural antacid and can settle your stomach, by improving digestion and absorption. For relief, drink cinnamon tea to heal infections in the gastrointestinal tract. Ginger has excellent digestive and anti-inflammatory properties. To help neutralize stomach acids, you can chew a slice of fresh ginger, or have a spoonful of ginger juice two-three times a day, or steep fresh ginger in a cup of boiling water and drink up. Mint leaves is known for its cooling properties which helps reduce the pain and burning associated with acid reflux.​ Pudina helps lower the acid content of the stomach and improves digestion.